Born in Brooklyn, New York, Anne Hathaway is an American singer, producer, and actress, who rose to prominence after playing the lead role Mia Thermopolis in the 2001 Disney film The Princess Diaries, and its 2004 sequel, The Princess Diaries 2: Royal Engagement. As a trained stage actress, she prefers performing on stage than playing film roles. Most of the time, her acting style is compared to that of Audrey Hepburn and Judy Garland. In response to that, she cited that Garland was just one of her favorite actresses and that Meryl Streep really was her idol. Anne is the daughter of lawyer Gerald Thomas Hathaway and actress Kathleen Ann “Kate” Hathaway, who played Fantine in the first U.S. tour of the musical theater production Les Miserables. She is the middle of three children. Her older brother is named Michael, while her younger brother is Thomas. During her early years, she was raised as a Roman Catholic. At one point, she even considered becoming nun stating, “When I was 11, I felt like I got a calling from God to be a nun”. When she reached the age of 15, her relationship with God changed after knowing her brother Michael was gay. “I realized my older brother was gay, and I couldn’t support a religion that didn’t support my brother. Now I call myself a non-denominational Christian, because I haven’t found the religion for me”, she said. She later on revealed that her religious beliefs are “a work in progress”. Anne attended Millburn High School, where she joined in various school plays. She started gaining recognition when she played Winnifred in Once Upon a Mattress. Her performance in the play earned her a Paper Mill Playhouse Rising Star Award nomination for Best Performance by a High School actress. While participating in other plays at New Jersey’s Paper Mill Playhouse, such as Jane Eyre and Gigi, she also minored in Women’s Studies and majored in English at Vassar College in New York. However, she later transferred to New York University’s Gallatin School of Individualized Study. Also, she studied at the American Academy of Dramatic Arts, where she became the first teenager admitted into the acting program of The Barrow Group Theater Company. As a soprano, she performed with the All-Eastern U.S. High School Honors Chorus in 1998 and 1999. She was also part of some theater productions of the Seton Hall Preparatory School in West Orange, New Jersey. In 2001, Anne landed her first role as Jean Sabin in the motion picture The Other Side of Heaven, which was under Walt Disney. But, before the film went into production, she was cast in the title role of Mia Thermopolis in another Disney comedy film, The Princess Diaries. Amongst all the 500 aspiring actresses who auditioned for the role, she was chosen as the strongest. The film was then released before The Other Side of Heaven. Surprisingly, it became a major commercial success, earning more than $16 million worldwide. 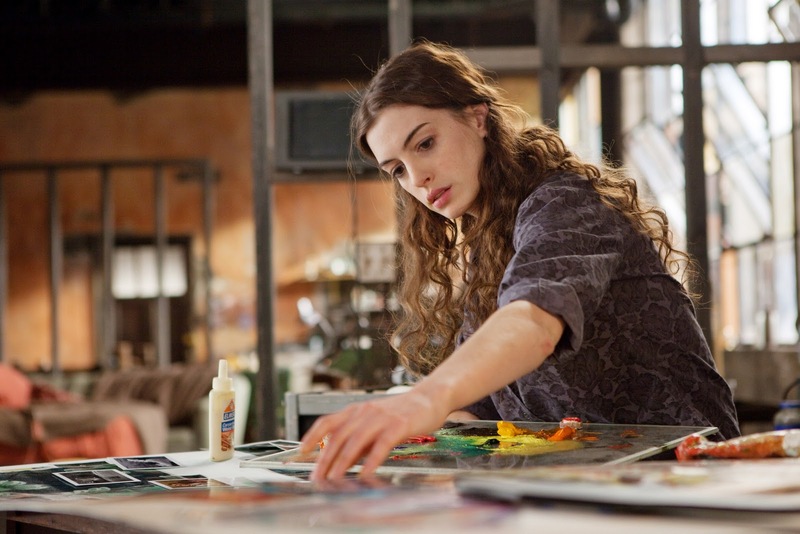 Critics praised her performance, with one saying, “Hathaway shines in the title role and generates great chemistry”. In that same year, her first film was released. Although it got lots of negative reviews, it was still considered a success for a religion-themed movie. On February 2002, Anne had her New York City stage debut, starring in the City Center Encores! Concert production of Carnival! as Lili. Her portrayal then received positive reviews. Later that year, she started voicing several audio books, including the book releases of The Princess Diaries and Hiroyuki Morita’s The Cat Returns. Over the next three years, she made appearances in family-oriented movies, making herself known as a children’s role model. Douglas McGrath’s comedy-drama, Nickleby, was among these and it also garnered positive reviews. According to The Deseret News, the cast was “Oscar-worthy”. In 2003, she decided to drop her role in The Phantom of the Opera because the production schedule conflicted with The Princess Diaries 2: Royal Engagement, which she was obliged to finish. In early 2004, Disney started production and it was released that same year. Even if it got negative reviews, it did well at the box office, making $95.1 million against a budget of $40 million. Also in 2004, the American actress was cast in a romantic comedy fantasy film based on a novel of the same name, Ella Enchanted. She sang two songs in the movie and three on the sound track, one of which was a duet with singer Jesse McCartney. After playing a dramatic role in The Princess Diaries 2, Anne started accepted other sorts of roles. She explained, “Anybody who was a role model for children needs a reprieve”. She also added, “It’s lovely to think that my audience is growing up with me”. In 2005, she provided voice for Red Puckett in an animated comedy film Hoodwinked!, which was based on the folktale Little Red Riding Hood. Also, she starred in a drama film Havoc, where she played a spoiled socialite. Obviously, her role in the movie was a lot different from her other films. But, she denied that it was an attempt to be seen as a more mature actress. After Havoc, she was cast in the Ang Lee-directed film, Brokeback Mountain, which later received lots of awards and nominations. For Anne, being in Brokeback Mountain was monumental for her, as it made her more aware of the kind of stories she wanted to share as an actress. In 2006, she starred as an assistant to a fashion magazine editor, played by Meryl Streep, in The Devil Wears Prada. Despite claiming that her sense of style is something she “still can’t get right”, she stated the film made her realize how much she respected the people working in the fashion industry. The following year, she starred in Becoming Jane and was cast in Knocked Up, but she was replaced by Katherine Heigl when she dropped the role before filming began. She was also considered for the role of Johanna Barker in the movie Sweeney Todd: The Demon Barber of Fleet Street. Unfortunately, it went to a then-unknown actress, Jayne Wisener. In 2008, she landed a role in the modern film adaptation of the television series Get Smart, playing Agent 99. Within the year, she made appearances in more films, including Get Smart’s Bruce and Lloyd: Out of Control, Passengers, and Rachel Getting Married. The latter film earned her widespread critical acclaim for her portrayal of Kim. Aside from that, it got her an Academy Award and Golden Globe nomination for Best Actress. The following years, she appeared in such films as Bride Wars, Alice’s Adventures in Wonderland and its upcoming sequel Through the Looking-Glass, The Fiancé, Valentine’s Day, Get Happy: The Life of Judy Garland, and One Day. Apart from acting, Anne also provided voice to some characters, including Jenny and Princess Penelope in The Simpsons, and Jewel in Rio and its sequel Rio 2. Later in 2012, Anne played Selina Kyle or Catwoman in Christopher Nolans’s The Dark Knight Rises. Even if she auditioned not knowing what role she was applying for, she still nailed it. According to her, it was the most physically demanding role she had ever played. One of Anne’s biggest projects of that year was Tom Hooper’s film adaptation of Les Miserables, where she played Fantine. In preparation for the role, she lost a huge amount of weight and cut her hair short. At the end of the day, her efforts paid off as she won more than 30 awards, including a Golden Globe, an Academy Award, a Screen Actors Guild Award, and a BAFTA Award for Best Supporting Actress. Last year, she starred in another Christopher Nolan film, Interstellar, with Matthew McConaughey and Jessica Chastain. She will also play Jules Ostin in the upcoming 2015 film The Intern. Anne is among the 23 people to win a Golden Globe, an Academy Award, a Screen Actors Guild Award, and a Critics Choice Award for one role. She was also hailed as one of People Magazine’s Breakthrough Stars of 2001 and the World’s 50 Beautiful People of 2006. Throughout her career, Anne received a multitude of unwanted criticisms. But despite that, she continued on bravely pursuing her dreams and did not let anything bother her. The actress is now considered one the best actresses of her generation.